Swedish Viking black metal band Vintersorg has revealed the details of its new full-length album. “Naturbål” (Nature’s Bonfire) is yet another groundbreaking folk metal record in the discography of the Swedish mastermind, whose characteristic vocals and unique songs have left their mark on a whole genre. Folkloristic tunes merge with technical guitar riffs and multilayered melodies. Anthem-like refrains provide the finishing touches to this sweeping symbiosis. 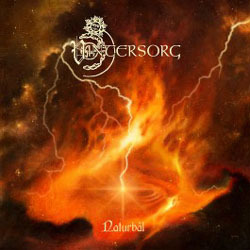 The songs combine the best of two worlds – elements of Vintersorg’s early works and the technical standard of the later years. Vintersorg is undoubtedly a visionary and offers a brilliant, consistent and sweeping album that is the perfect journey through all the periods of his work. “Naturbål” will be released via Napalm Records on 27th of June 2014. Cover artwork by Kris Verwimp and album tracklist are already unveiled.